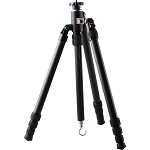 The ET-1004 Aluminum Tripod with E-10 Ball Head from Sirui is a 4-section aluminum tripod with an included ball head and quick release plate. 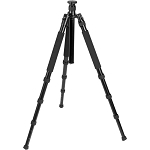 With the center column extended, the tripod's maximum height is 55" The tripod weighs 3.0 lb and can support up to 18 lb. 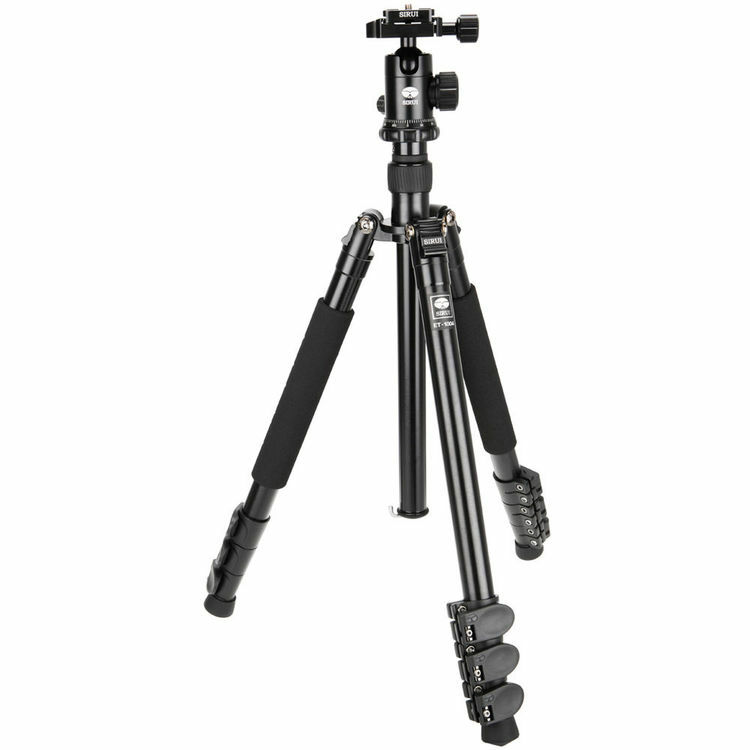 An included short center column allows for changeover to shoot macro or from low angles. 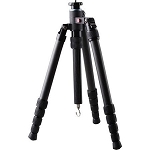 Also, the center column can be inverted to shoot from under the tripod. 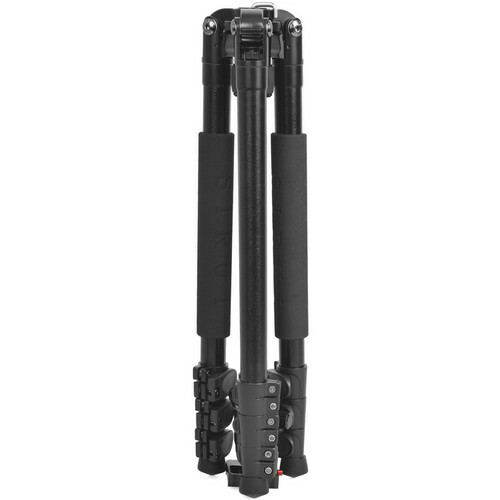 The 4-section legs feature flip locks for easy adjustment and each leg can be independently placed at three position angles and automatically lock in place for secure shooting on uneven ground. 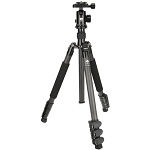 The legs on the ET-1004 fold up 180º for compact storage and transport; its folded length is just 16.5". 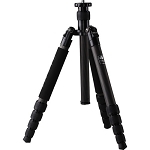 The tripod's rugged spider is made from forged aluminum alloy and the legs are made from economical aluminum alloy for stability, performance and longevity. 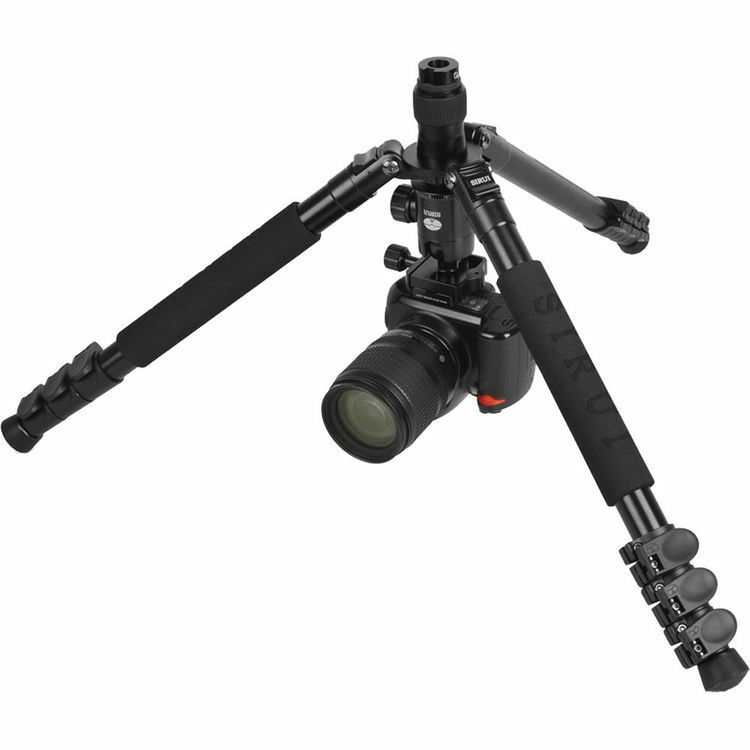 The E-10 ball head and a quick-release plate are supplied with the ET-1004 tripod . The ball head provides separate adjustment knobs for panning and locking, the locking knob is metal with a solid grip and wear-resistant surface. 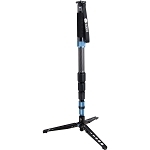 The E-10 ball head's locking mechanism can support up to 40 lb and is built to for smooth, vibration-free movement. A bubble-level is supplied for fast and accurate alignment. 20.6 x 5.5 x 3.6"